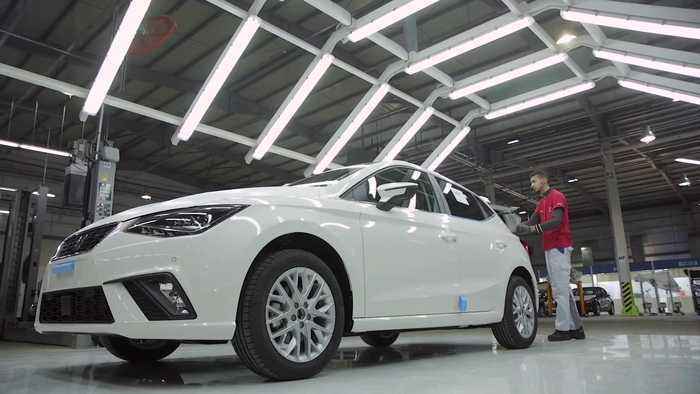 The assembly plant of the SOVAC Production S.P.A.
Joint venture, made up of the Volkswagen Group and SOVAC, the Group’s importer in Algeria, closed 2018 with 53,000 cars assembled, which is three times more than in 2017 (17,015). Inaugurated in July 2017, last year the multibrand plant in Relizane, located 280 kilometres southwest of the capital Algiers, began assembling 11 new models by Audi, SEAT, ŠKODA and Volkswagen. The Volkswagen Group currently assembles 15 models in this plant, exclusively for the Algerian market: Audi A3 Sedan, A3 Sportback and Q2; SEAT Ibiza, Arona, Leon and Ateca; ŠKODA Fabia, Octavia and Rapid; and Volkswagen Polo, Golf, Tiguan and Passat, as well as the Volkswagen Caddy.